So, what’s the first thing that comes to your mind when we say ‘weddings’? Words like chaos, fun, entertainment and craziness? But apart from all the madness and excitement, the one thing that is similar in all Hindu weddings is the ‘saath pheras’. The significance and sacredness of this tradition is what makes every Hindu wedding what it is! A typical Hindu wedding consists of both the bride and groom taking the saat pheras around the holy fire (also called as the pavitra agni) in the presence of family. Every phera denotes something and speaks of the commitment of the couple along with their new beginning. Here are those 7 vows and their profound significance that not a lot of people know about. The first phera is an appeal to the almighty for nourishment. The couple seeks blessings by asking the Lord to make sure that they are never short of food and money to live a respectable life. The husband promises to provide everything to his wife and children; whereas, the bride solemnly swears to take up the responsibilities of the house and children. In the second phera, the groom asks his wife to be his strength while he provides security and protection to his family. The bride agrees to stand by him throughout and demands her husband’s undivided attention and unconditional love. In the third phera, the couple collectively prays for wisdom and wealth in their marital life, which is critical to lead a content life. They pray for a good journey and healthy children, taking an oath to stay committed to each other. In the fourth phera, the groom is thankful to his bride for bringing fortune and happiness in his life; whereas, the bride promises to keep him always happy. Then the couple takes a pledge in unison to take care of their family together. In the fifth phera, the couple prays to be blessed with healthy, obedient and strong children who are worthy of carrying the family name forward. They also promise to be responsible parents by giving them a good upbringing and inculcating the correct knowledge and values in them. In the sixth and second last phera, the couple prays for prosperity and an honest life filled with peace, joy and nobility. They pray to the almighty for a long and generous life. In the seventh and final phera, the couple seals the bond by pledging their love, friendship, trust and loyalty to each other. They promise to stand by each other through thick and thin and have each other’s back whenever required. The phera also states they are now united through everything in life and stay true to this relationship come what may. Any marriage is incomplete without these vows and is believed to be sacred once they are conducted. 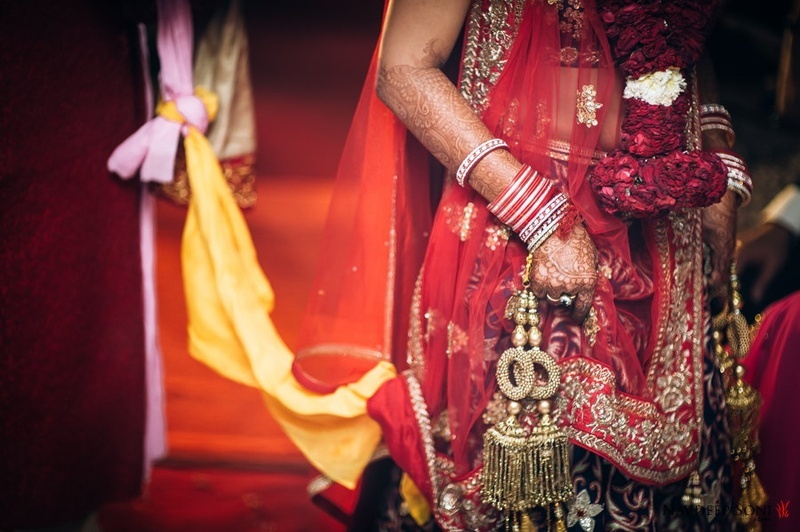 The seven pheras are indeed the core of every Hindu marriage, representing the bride and the groom’s commitment to each other for the lifetime.